The School Resource Officer (SRO) concept is the placement of an experienced law enforcement professional in the High Schools, Middle Schools and Elementary Schools with the following goals. Creating and maintaining safe, secure and orderly learning environments for students, teachers and staff. Establish a trusting channel of communication with the students, parents, and teachers . Serve as a positive role model to instill in student's good moral standards, good judgement and discretion, respect for other students, and a sincere concern for the school community. Promote citizen awareness of the law to enable students to become better informed and effective citizens, while empowering students with the knowledge of law enforcement efforts and obligations regarding enforcement as well as consequences for violations of the law. Serve as a confidential source of counseling for students and parents concerning problems they face as well as providing information on community resources available to them. With such a program, the officer represents much more than a "cop in the shop." The SRO program reflects a community partnership between the Police Department and the School District to ensure that our schools are safe, secure, and orderly learning environments. The SRO should be looked at as a resource to which the school community can turn. As such, the SRO fulfills three roles by using a triad approach. The officer acts as a law enforcement officer, an informal counselor, and a law-related presenter. As a law enforcement officer, the primary purpose is to "keep the peace." 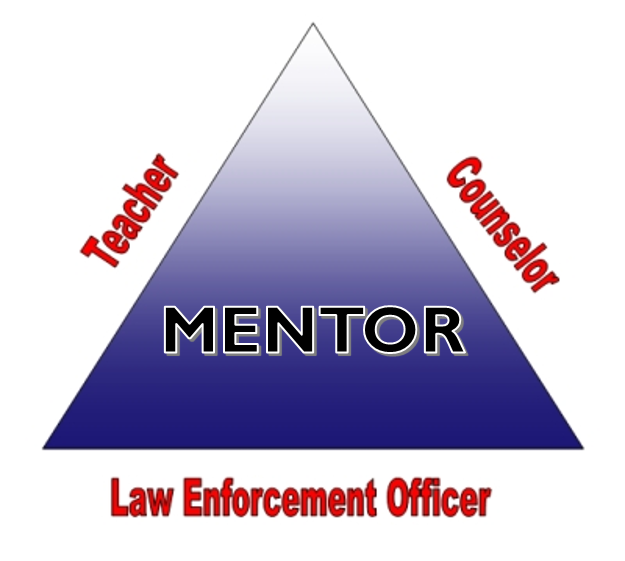 As a informal counselor, the officer provides resource guidance to students, parents, teachers, staff, and act as a link to support services both inside and outside the school. As a law-related presenter, the officer will share special law enforcement expertise by presentations in the classroom to promote a better understanding of our laws. Furthermore, the SRO also serves as positive role model for the students on campus during school hours and off campus at extracurricular activities.